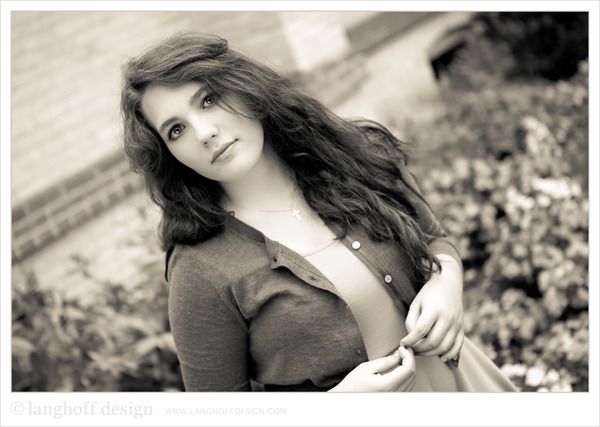 After graduation Maggie will be attending Carthage College to study English and eventually become a novelist. She thoroughly enjoys writing and feels it's what she's meant to do in life. She'd love to write a fiction novel—one that has an impact on people and has deeper meaning, much like those of C.S. Lewis. Like any good writer, she also loves to read and draws inspiration for her stories—and her drawings and paintings—from anything that surrounds her. She admits that she has an obsession with hair and eyes. "The first thing I notice when I meet someone is their eyes, and this obsession translates into my writing, many times making it better," said Maggie. "Descriptions of eyes are my favorite, which may seem strange to some people, but to me it’s just who I am and what I’m drawn to. I admit some of my obsession may be fueled by the great hair and eyes that are in my family." "My family motivates me, and my friends do the same. They also all inspire me in my art and writing," Maggie said. "Nature also plays a role in inspiring my creativity. When I write, I often compare characters’ appearances to things in nature—trees, flowers, sky, ocean, clouds, and more. I also have to say my faith inspires me and my relationship with God motivates me greatly, as do my fellow followers of all ages." Maggie's Christian faith is important to her and she uses her talents to play into that (pun intended). "I lead worship playing piano and sometimes singing with EUM's Merge's youth praise band, Fueled. This band is one of my absolute favorite things. I look forward to each practice and time we lead worship. The fellowship in our band is some of the best. Plus, we have a great time! We have fun and goof off a lot, but when it comes down it, we do a great job of being responsible and good leaders." Looking back on high school, Maggie has so many positive memories that she can't really pinpoint her favorite moment. She says that overall, she is really pleased with the way she has been able to come out of her shell more and more. "I've gained confidence in myself and moved away from being as painfully shy as I used to be." I'd guess that has to do with her strong friendships and her level of involvement in activities! Maggie really enjoys being a part of National Honors Society—a club she says is a ton of fun and requires a lot of community service. "I guess it's a good thing I enjoy helping people so much!" It's evident that people are important to her, as she is also a part of Horlick's "Rebel Oasis" group—a group of students and teachers who are followers of Christ. They get together to study the Bible, pray together and support one another. "Rebel Oasis is one of my favorite parts about being at Horlick—getting to spend time with other Christians who are at my school with me, many of whom I see every day. It is encouraging and strengthening to see these people." Maggie says she'll definitely miss many of those activities after graduation, but what will she miss most of all? "Most of my teachers have been great. My friends and acquaintances have also been so fun over the past few years. I’ve had some great times with people I don’t see outside of school, so I won’t see them after we graduate. Therefore, I’ll really miss them." Underclassmen, listen up. Here is Maggie's sound advice for you: "Get involved—join clubs, sports, bands, whatever—and take challenging classes as well. These are the places you’ll meet great people and form great, possibly lasting, friendships, and you’ll never regret how much fun you had with them. You will, however, regret not getting involved. So, get out there and get to know people you wouldn’t know otherwise!" And to her fellow graduating seniors, Maggie challenges, "Let’s go make something of ourselves and impact the world!" After getting to know so many top notch students in this senior class, I have no doubt that the class of 2013 will have a positive influence on the world. Go get 'em! What gets Maggie through? "The best advice I’ve received is to not worry about anything, but to pray about everything. This is in the Bible—Philippians 4:6-7—a verse I had to memorize and now apply greatly to my life. I try to live by this verse. I don’t let myself stress as much as I used to, instead praying for guidance and peace. I have to say, it works wonders, which I’ve really needed to get through all of my AP classes the past few years." Ha! 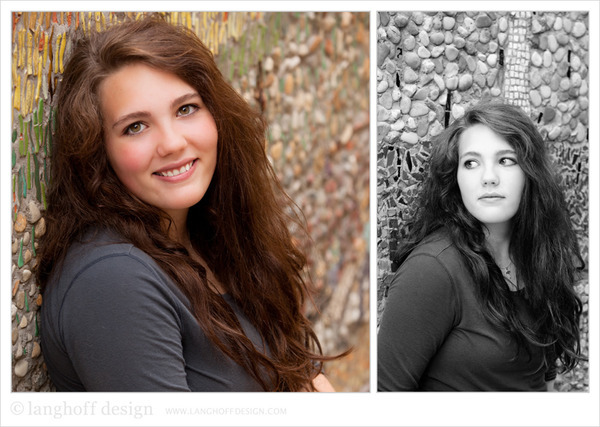 Maggie—you rock my world and feed my creative inspiration. 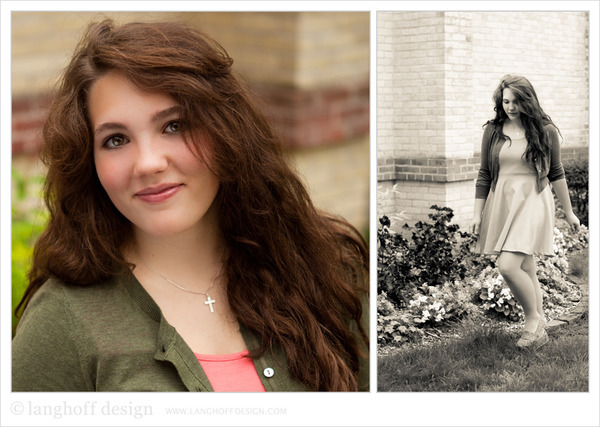 Thanks for the opportunity to hang out even more during your senior photo shoot! You are such a sweetheart, and as is clear here, you're beautifully photogenic with success stories in your future (and maybe even a written novel or two—or twenty!). I can't wait to hear about how everything unfolds for you.